Spring is my favourite season of the year. It’s seeing nature come alive again after the long winter, the flowers so bright and joyful, the tiny leaves on the trees, the dawn chorus, the lighter evenings…..
It’s a real new beginning, and one which inspires me more than the new year, which is still in the depths of winter. So many of us make our new year resolutions, only to fail in the early weeks of the year, but the arrival of spring gives us a fresh chance to start anew. It somehow seems easier to make new beginnings when the whole of nature is joining with us. If we aspire to a healthier lifestyle, the warmer weather and the sunshine may tempt us outdoors. If we want to eat more healthily, there is a greater range of fresh, seasonal produce available, and we tend to eat lighter meals as the weather warms up. Spring is the season of birth and renewal throughout the natural world, and so it’s an ideal time for any creative projects. By which I mean not only arts and crafts – we are not all gifted in that way – but living creatively, changing course if we feel the need, working towards a more fulfilling and authentic life in which we nourish our true selves rather than just existing day to day. So what better time than now to make space to breathe, to meditate, to go within and see what comes up? To see clearly what works and what no longer works for us? And to be gentle and accepting with who we really are. The other day a client commented after her treatment that she felt so different after just half an hour, and it seemed as though she had been there so much longer. At work, she said, 30 minutes could pass so quickly, sometimes with so little to show for it, yet in the treatment room, that same length of time had achieved so much. This is just the feeling I have when I spend even a short amount of time doing something which is deeply relaxing or renewing, something which nourishes and respects who I am on the inside. For me, time spent doing something on a soul level takes me ‘out of time’, making maybe even a 10 minute practice seem like an age in which I’ve undergone tremendous change. For me, time spent doing a personal yoga practice, pranayama or meditation, can seem both a split second and incredibly long, both at the same time. The same thing happens when I give or receive a treatment: the quality of the time spent can be so much more important than the actual time spent. In the clinic environment, where I have to keep track of time so as not to run late and inconvenience my next client, this paradox is especially noticeable. I can be aware that I only have a short amount of actual time left, and yet somehow I always feel that time expands to allow me to complete the best treatment for the client I’m with. In meditation, I lose all sense of time, and can sit for 5 minutes when I have little actual time, or an hour when time is plentiful, and both can feel exactly the same. This lost sense of time is something that new mothers in my postnatal classes comment on, as something which occurs often during childbirth, and when holding and spending time with a newborn baby, two of the most intense experiences a woman can have. I believe that it is the intensity of our experience which causes us to be ‘out of time’, to be lost in what we are doing, in the flow of inspiration. I’m sure that everyone has experienced those days when everything goes just right, when we can achieve so much, and other days when we are out of our comfort zone, struggling to get things done ‘in time’. This underlines the importance of ‘taking time out’ to look after our inner selves, to evolve whatever practices make us feel good. The next time life feels too much effort, maybe we need to take a step back, and give ourselves the time we need to nourish our true selves. 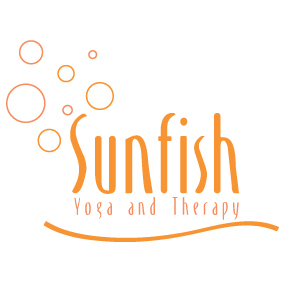 Welcome to my blog for Sunfish Yoga and Therapy. I plan to write regularly on all things yoga and wellbeing…. See you soon!